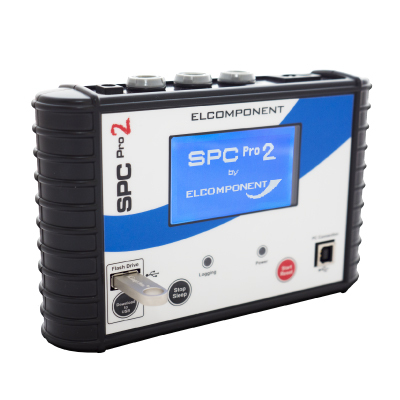 The SPC Pro 2 is our best ever 3 phase data logger. Click Here if you need single phase. Directly descended from the original SPC Pro it combines all the qualities that made that product a market leader with a host of new features and improved performance. All designed to help you get the job done better, quicker and easier. Based on the well-proven "3 currents, 1 voltage" hook-up, the only voltage connection it needs is a standard 13A wall socket. 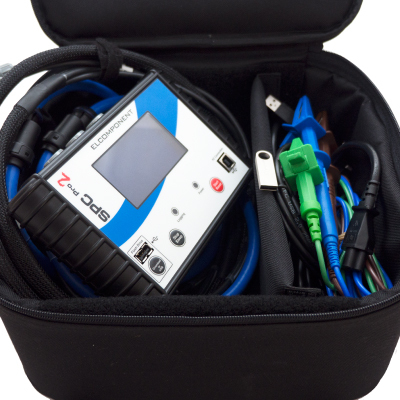 For surveys where mains power is not available the unit's internal battery provides up to two weeks 'no voltage' logging, increasing as much as 12 weeks with the external 'battery pack' option. 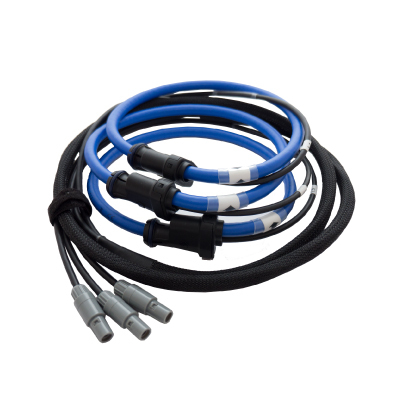 Current measurement is via fully isolated flexible hoop CTs which makes the SPCPro data logger incredibly safe to use. The unit is also very easy to set up and connect and requires no detailed knowledge of electrical systems from the operator. 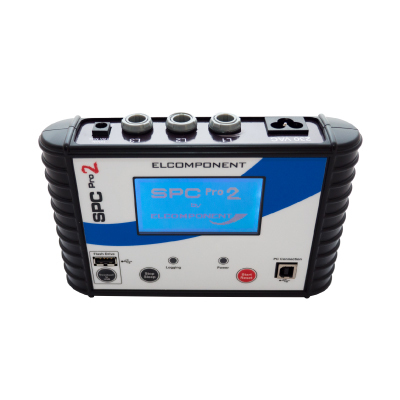 The SPC Pro 2 has almost 4 times the memory of its predecessor, allowing highly accurate surveys of up to 12 weeks duration as well as hi-speed (1 second) logging of critical plant for up to 48 hours. The larger memory is more accessible too, thanks to the USB Flash Drive interface. When you want to download the logger - even on the fly - just plug in your USB memory stick and press the 'Download' button and all the logger's readings are transferred to the memory stick. The data can then be processed by our PowerPackPro software whenever you wish. Just open PowerPackPro on your PC and plug in the memory stick to download it. It’s that easy! The SPC Pro 2 retains a second USB socket for direct connection to a PC but you can now download it without any cables, PCs or laptops required. Whichever way you do it, data download is fast efficient and foolproof. The SPC Pro 2 is light and compact, but it's tough. Designed for many years of professional use and incorporating all of our 30 years of experience in building portable instruments, the custom moulded hi-impact case features our standard sealed front panel overlay with no projecting buttons for increased resilience and a long trouble-free life. Magnetic feet are standard, so you can easily attach the unit to any ferrous metal surface to keep it safe and out of harm's way. 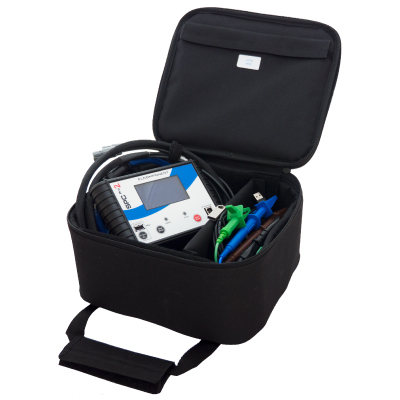 And as with all our instruments, the SPC Pro 2 is supplied in a bespoke zip case to keep everything tidy. Download is equally easy - simply plug in a USB stick and press the download button, or connect the unit to your PC's USB port with the lead provided. Either way our PowerPackPro software will find the logger or the USB stick automatically and guide you through a foolproof sequence to ensure that accurate results for voltage, current, power factor, kilowatts kilowatt hours and kVArh are configured for immediate viewing. The instrument uses a completely secure and non-volatile 'flash' memory and has its own back-up for its on-board clock. The powerful internal battery allows it to be used as a 'current only' logger for up to two weeks where a mains supply is not available. The addition of Battery Pack 1 extends this to approximately six weeks and Battery Pack 2 pushes the logging period to 12 weeks! 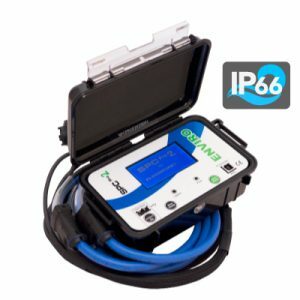 Combined with its dedicated software package - PowerPackPro - The SPC Pro 2 takes advantage of some of the fixed characteristics of a three phase electrical system to accurately calculate power and energy from three current measurements, but only one voltage input, which makes it suitable for non-technical personnel to use. The way it achieves this is innovative but also reliable and accurate, and has been proven across many thousands of applications. See the video tab to reveal all!